Continuing in our series on what ability to focus on for the various racing disciplines, this week’s column will look at the most important ability to train on for racing enduro. Enduro is a relatively new discipline in mountain biking. It encompasses a wide variety of events from huge mass start races that begin on the top of an alp, to small timed segments within stage or endurance races. The common thread between all these events is the fact that for the most part, the start of the enduro will be higher than the finish and you will have to traverse some tough terrain in between for a time. What are the demands of this type of racing? First and foremost excellent bike handling skills will be necessary to do well. A solid amount of aerobic and anaerobic fitness will also be important. Many enduro courses include some serious climbing sections. These sections may not be long, but they can be steep and if you are not able to tackle them quickly precious time is wasted. Having a very strong core and upper body will also be important in order to control the bike over obstacles and serious terrain. Quickness of movement is an important ability in order to redirect, change lines or clear obstacles. Obviously if you are competing for an enduro classification within a stage race, you will need the fitness to complete the entire stage each day. Skills practice is in an important part of enhancing your enduro finishes. Add an endurance aspect to skills practice. Doing multiple shuttle runs is great for getting lots of runs in, but make sure you ride the climb sometimes as well so you can get the feel of what it is like to hit the run while fatigued. Learn how fatigue affects your reaction time and how you handle the bike. Knowing how to adjust speed to compensate for fatigue can help keep your runs clean and consistently fast. Constantly strive to find new and challenging terrain to ride. This may be difficult logistically for some, but having the ability to read unknown terrain quickly and pick a solid line is a skill that can be developed by seeing and riding all kinds of trails. 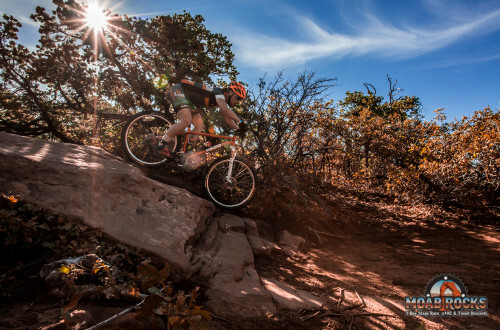 You can certainly work on your skills by riding the same course many times, but seeing a variety of trail will help you work on that ability to quickly adapt. Also to echo Travis Woodruff’s last column, don’t be afraid to work with a skills coach or do a skills specific MTB camp. Having good feedback on ways to improve skills can help speed and confidence tremendously.